Want to know what the most popular outdoor and survival gear is? We put this list together to show you what your fellow outdoorsmen and preppers have been buying. Grab some of this gear for yourself or give them as gifts to friends and family. When SHTF, you don’t want to be restricted in where you can go or what you have access to, which is what makes a lock pick set so special. 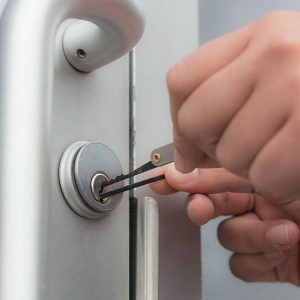 When you get the hang of lock picking, nothing is “off limits” anymore. It’s like having VIP access to anything you need. Use responsibly! Some people go camping in a group with friends or family, but others prefer to go it alone. If that describes you, then check out this one-person camping tent. You don’t need to go through the work of setting up a big, bulky tent just for yourself anymore. 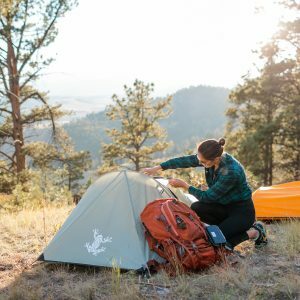 The Solo Bivvy Camping Tent is small and easy to set up. Take a look at this deadly weapon and try telling me it isn’t badass! 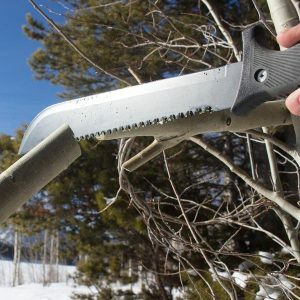 You can have so much fun with a machete while messing around in the woods, not to mention how much you’ll need it after the apocalypse. You can find “tactical machetes” for sale at places like WalMart, but they can’t compare to this one in terms of quality. You’ve seen tactical flashlights before, but you’ve never seen a tactical flashlight quite like this one. ASP is one of the most trusted names in tactical gear. 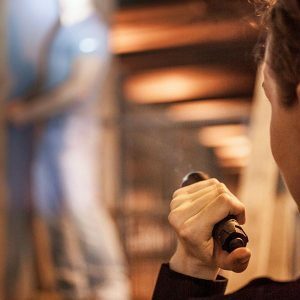 Law enforcement around the country trust and use ASP as their tactical flashlight of choice, and if it’s good enough for them then it’s good enough for us. Have you ever recharged your phone’s battery with fire? 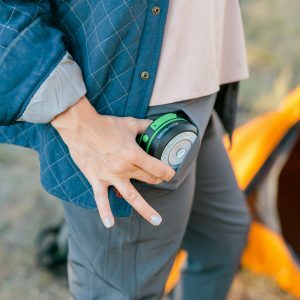 It sounds crazy, but that’s what you can do thanks to the BioLite Camp Stove 2. This is an incredible piece of camping gear that serves two purposes. First, it regulates the heat that the fire is burning at to make it last as long as possible. The other incredible thing it does is convert that heat energy into usable electricity. 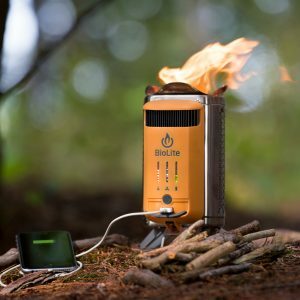 It sounds strange, but everyone who uses the BioLite Camp Stove 2 falls in love with it! We’ve all been frustrated by bad reception with our phones before, and during an emergency situation that lack of reception could get you killed. That’s why you need a backup communication plan. 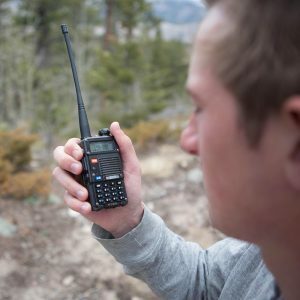 Ham radio is used by radio enthusiasts and preppers alike. It’s a reliable way of getting in touch with emergency help and other like-minded people. Personal safety is becoming a huge issue with our country becoming a more dangerous place by the day. If you’re unarmed, you’re putting yourself at risk. The thing is, not everyone wants to be seen carrying a weapon. But with the Tactical Pen Knife, that’s no problem. 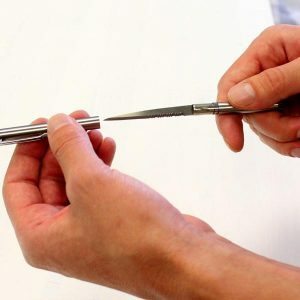 It looks like an ordinary pen, but take off the cap and you have a deadly self-defense weapon ready to go at a moment’s notice. Can you keep an entire stove in your pocket? 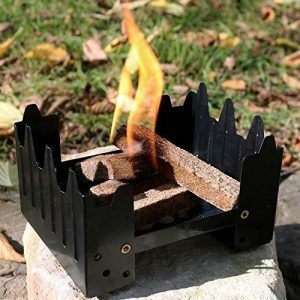 You can with our folding camp stove! Don’t be fooled by its small size. This folding camp stove cranks out enough heat to cook regular meals just like at home. You can boil water, heat up food, and cook meat whether you’re in the thick of the wilderness or just backyard camping. 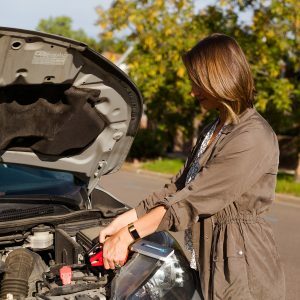 As preppers, we like to be self-reliant…but if your car’s battery ever dies then you suddenly become dependent on someone else to give you a jump. We don’t like feeling dependent on other people, which is why we came up with the Emergency Car Battery Jumper. 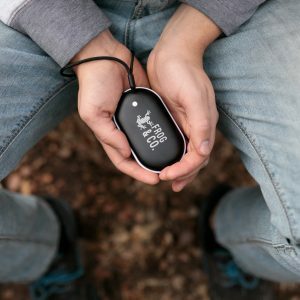 This little gadget stores a powerful electric charge so you can self-jump your own car by yourself. 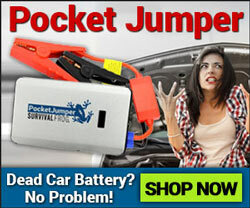 No more flagging down a stranger to help you out when your car battery dies! 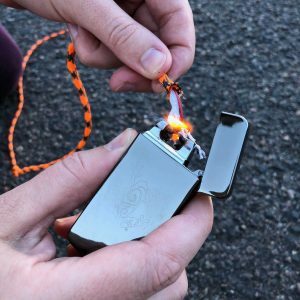 Unlike most lighters, this futuristic-looking gadget doesn’t rely on butane or any other flammable liquid to start fires…it uses electricity! 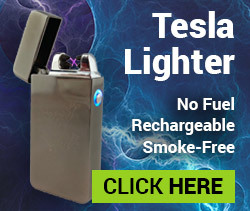 At the push of a button, the Tesla lets out a powerful stream of electricity that burns much hotter than traditional lighters. This makes it windproof and makes it even easier to light tinder on fire. Don’t worry, it comes with built-in safety features so it only works when you want it to work. It’s fully rechargeable, so you can use it again and again without a trip to the store. If you’re having trouble lighting up your campsites at night, it’s time to switch from a flashlight to a lantern. The Pocket Light Solar Lantern provides 360 degrees of light so you can see everything around you. But the coolest part about this lantern is that it’s solar chargeable, and once it’s charged you can use it to charge other electronics such as your cell phone. Definitely worth packing in your camping bag. This is one of those pieces of gear where once you see it, you think “I’ve gotta get one of those!” If you ever get cold hands, or if it gets chilly at night where you live, then consider getting one of our electric hand warmers. Unlike disposable hand warmers which get thrown out after one use, the QuickHeat Electric Hand Warmer is rechargeable and can be used hundreds of times. Bring it in your tent, under your bed covers, or by your keyboard while you’re at the computer. You’ll love it! There’s water all around us, but hardly any of it is safe to drink. That’s a big problem because when SHTF utilities like running water won’t be around. With the Sawyer Mini, you can drink from nearly any water source without risking your health. 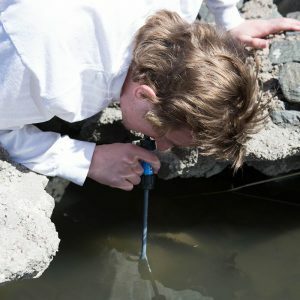 It’s certified to remove 99.99999% of harmful substances from the water it filters and has a lifespan of 100,000 gallons (more than an adult male will drink in their lifetime). Batteries are such a pain, aren’t they? They’re heavy, take up space, and are useless junk after they’re used. 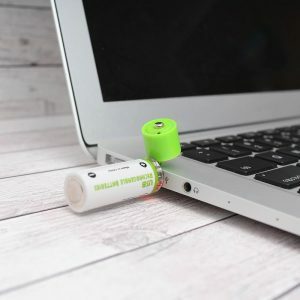 The EasyPower Rechargeable USB Batteries are different. Not only are they rechargeable, but they don’t even need a special charger. Just plug them into any USB port and they’ll start charging back to full. This is a must-have in any preppers loadout. Is there anything cooler than night vision? Night vision is one of those things that everyone wants to try, but think is too expensive. 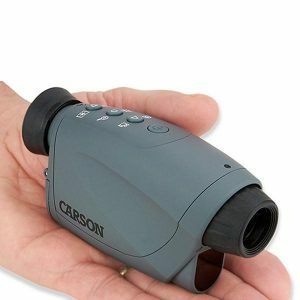 The Digital Night Vision Monoculars by Carson are a fully functional night vision tool thats affordable enough for most people’s budgets. It has a digital display, so it shows in crisp black & white instead of that blurry green light you’re used to. One area that tends to get overlooked while prepping is car preparedness. Most people have cars these days, and driving is one of the most dangerous things you can do. It only makes sense to have a good survival tool in your car. 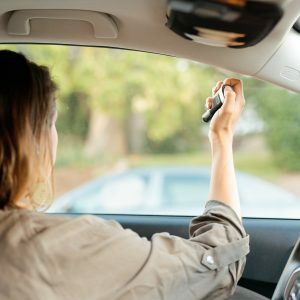 The 6-in-1 Car Escape Tool is useful during emergencies and during routine driving. It can shatter windows, cut seatbelts, and charge your cell phone. What’s not to love? 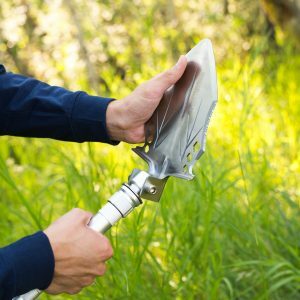 At first glance, the Modular Stealth Tactical Shovel might just look like any other tactical shovel…but the real magic happens on the inside! It has detachable segments so you can set the shovel length how you want it, and inside each segment are other useful tools that you might need after SHTF. Hypothermia is a big threat to your survival. Whether the power grid went down during winter or you’re lost in the woods at night, you need to have something to keep you warm. The Tact Bivvy 2.0 is great because it’s small and lightweight, but will keep you warmer than any other sleeping bag you’ve ever seen before. 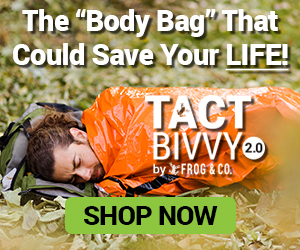 You can get the Tact Bivvy 2.0 in bright orange to help rescue teams find you or get it in green to blend in if you don’t want to be seen. 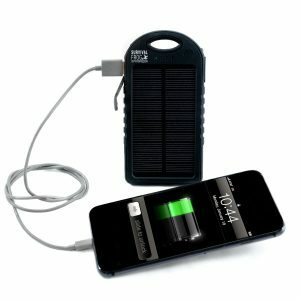 Full-scale solar panel setups are expensive, but you can still use solar on a smaller scale with the EasyPower Portable Solar Charger. It’ll generate enough power to charge small electronics like cell phones even if you’re in the middle of the woods. It’s a small panel, so it takes a while to charge up, but if you strap it to your bag and leave it for a while it’ll be ready to go when you need it. Similar to the EasyPower Solar Portable Charger, the QuadraPro Portable Solar Charger gives you a way to turn solar energy into usable electricity. The big difference between them is their size. The QuadraPro is like having four EasyPower chargers chained together. It absorbs more sunlight so it chargers much faster. 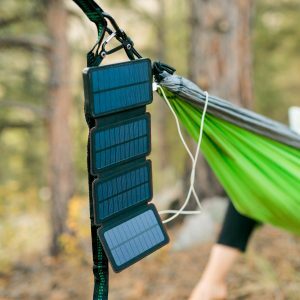 If you’re an avid outdoorsman or prepper, you owe it to yourself to add this amazing solar charger to your gear collection. This entry was posted in Prepping, Survival Gear Reviews, Uncategorized and tagged 2018, gear, gifts, outdoors, top products on November 24, 2018 by David Adams.